Made his debut with BC Partizan Belgrade during the 2004-05 season. Moved to Serbia for the 2012-13 season, signed by Mega Vizura. In February' 14 moved to Serbia, signed by Mega Vizura. 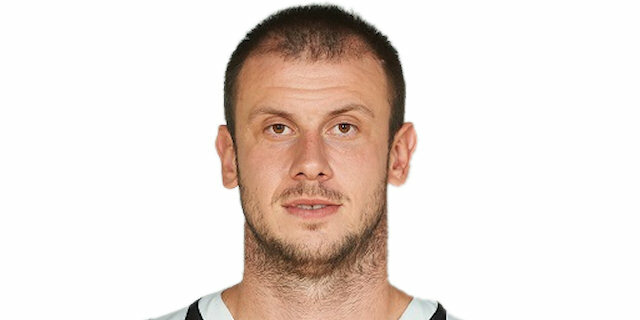 Moved to Serbia in February'16 signed by BC Partizan Belgrade. Named the 2008-09 Euroleague Rising Star. Named the 2008-09 Euroleague February MVP. Named the 2007-08 Euroleague Week-13 MVP. Named the 2008-09 Euroleague Top 16 Week-2 MVP. Won the 2008, 2009, 2018 and 2019 Serbian National Cup with BC Partizan Belgrade. Named the 2009 Serbian Cup Finals MVP. Named the 2009 Adriatic League Final MVP.